One of my friends asked me about my work this week at NASA. 1) I testified to the House Science Committee this week, with approximately a dozen members present during this highly bi-partisan hearing. It was all about “finding Earth elsewhere”, an objective that was added to NASA’s mission-statement. 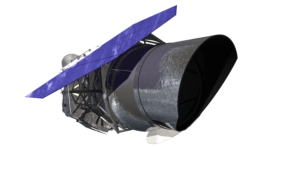 2) I commissioned an independent review of the approximately $3B next-generation telescope (WFIRST) that is early in its development. This review was recommended by the National Academies. Sometimes, the best thing we can do to get new science we are all excited about, is to scrutinize how we do it. 3) This week, NASA put Cassini into an orbit inside of Saturn’s rings. This allows to do science we have never done – truly bold move, though, that is part of Cassini’s Grand Finale! 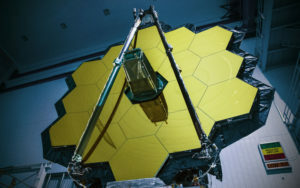 4) We were getting ready this week to ship the biggest space telescope ever built, the James Webb Space Telescope, to NASA Johnson for cryo-test. This is a critical test before finally launching in 2018. 5) We spent a week doing under-flights of the new GOES-16 NOAA/NASA spacecraft using one of our highly equipped NASA airplanes. These measurements are critical for calibration of this next-generation weather satellite. 6) I spent time focused on one of the most epic science shows this year, the August 21, 2017 eclipse (https://eclipse2017.nasa.gov/) – can’t wait. 7) This week, we integrated NASA’s GOLD mission into a commercial communications satellite, a novel type of partnership between NASA and commercial entity, increasing the science/dollar spent by NASA. GOLD focuses on the boundary of our atmosphere/ionosphere to space. 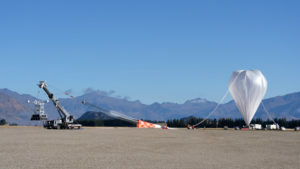 8) We launched a novel long-duration balloon from New Zealand this week. This balloon is floating at around 100,000 feet and looking at the signatures of high-energy cosmic rays interacting with the Earth atmosphere. 10) And, of course, we are all excited to celebrate Peggy Whitson, the first woman to command the space station, who broke the record this week for the longest duration in orbit of a US astronaut.